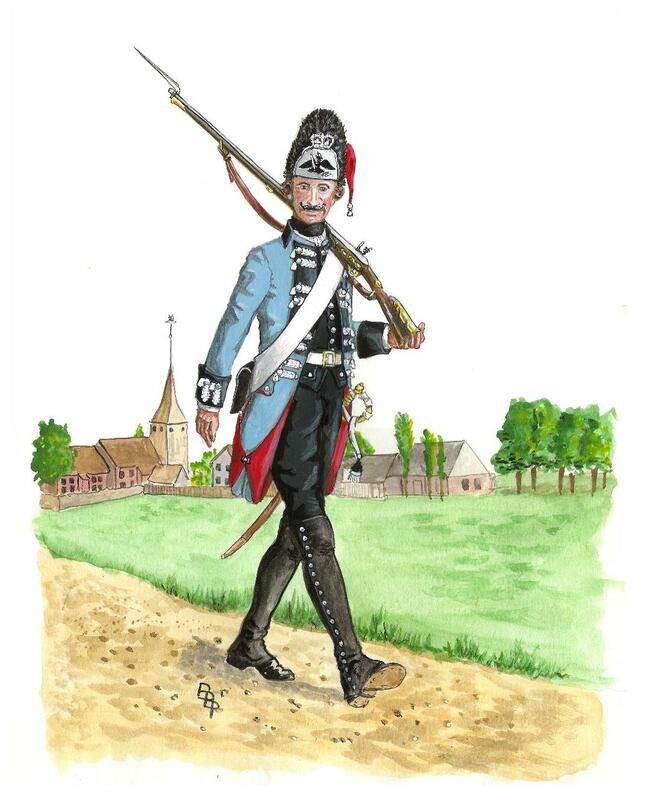 Raised January 6th 1761 In Kalbe from Swiss deserters in French service and sometimes called the Schweitzer Battalion. Chef was Major N. Heer for the entire existence of the unit. Consisted of three companies augmented later by a grenadier company which was captured near Grumbach and not reconstituted. The remainder of the battalion fought at Freiburg. Grenadier company shown as wearing reversed colors with an Austrian style fur cap with red bag and white tassel and whitemetal plate with painted black heraldic eagle.